It's actually hard to believe that I was before embarking on my first red-eye. I'd heard about the concept, obviously, but since I'm not a great flyer to begin with (cramped spaces with minimal leg room aren't really my vibe), I decided early on that sleeping should be spent horizontal not upright in a seat without padding. I generally avoided red-eyes, and I think you can agree I'd been pretty successful at that, until now. A few months ago, I was booked to moderate a panel at the design show in North Carolina, and the only flight available was a red-eye from LAX. Since the panel was being held a few hours after I landed, I knew I needed to be fresh and mentally aware to moderate. 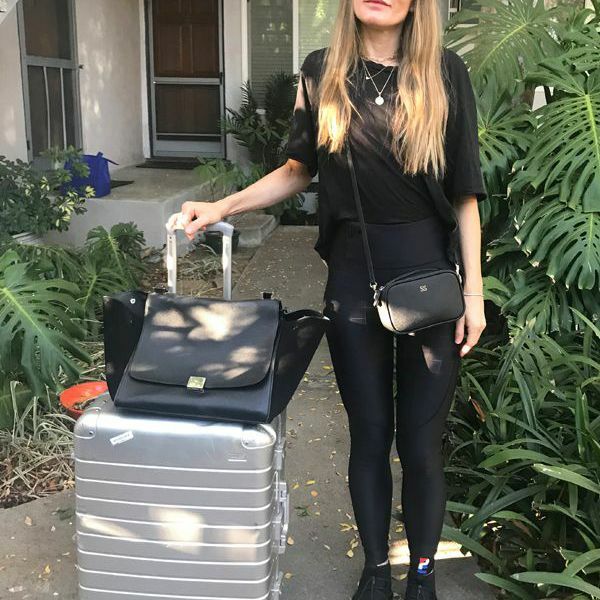 Knowing I don't sleep well on planes, I immediately took to our Facebook group, the Beauty Line, for some foolproof remedies and red-eye flight essentials to help me sleep, and our readers definitely delivered. While there were several recommendations for prescription drugs, I didn't want to land feeling groggy, so I decided against that. 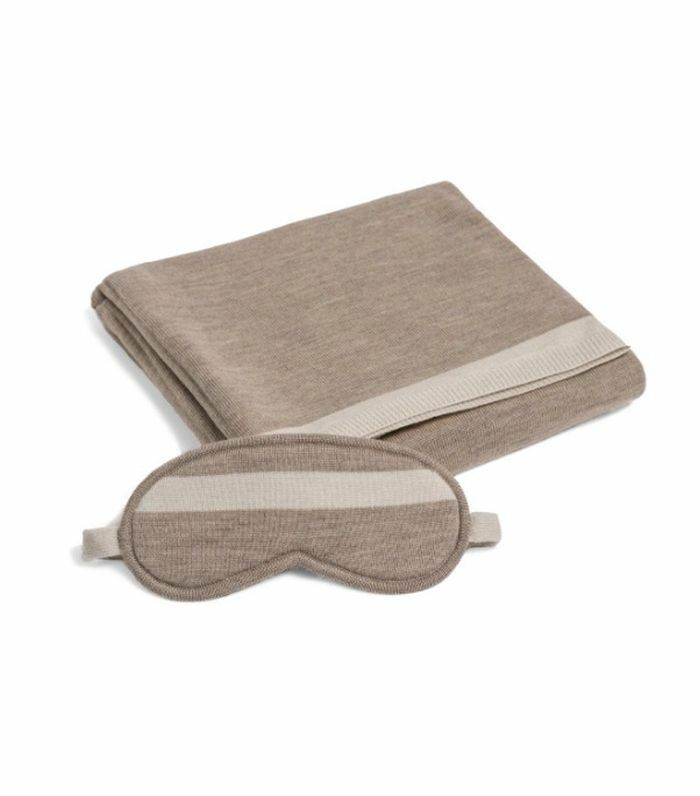 Keep reading to learn of the products and essentials I used on a red-eye to help me sleep, and look out for one word that kept coming up repeatedly throughout: cocoon. First things first, give your uncomfortable airplane seat some padding. 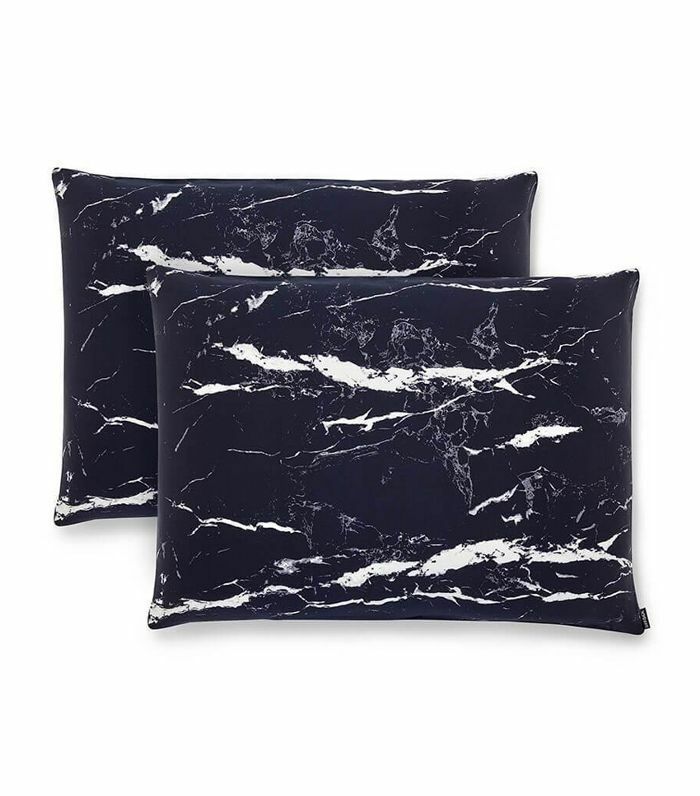 I always carry a regular-sized pillow onto the plane with me covered in a silk pillowcase. I place the pillow behind my back and slightly under my bum in a bid to trick my body that I'm sleeping on a bed. This "trick" part is important. A reader in the group says she swears by the . I didn't use this one for my flight, but I am definitely looking into it for the next one. Wearing comfortable clothing is imperative on a red-eye, and leggings or tights are designed for that. There's a reason it's been coined athleisure. 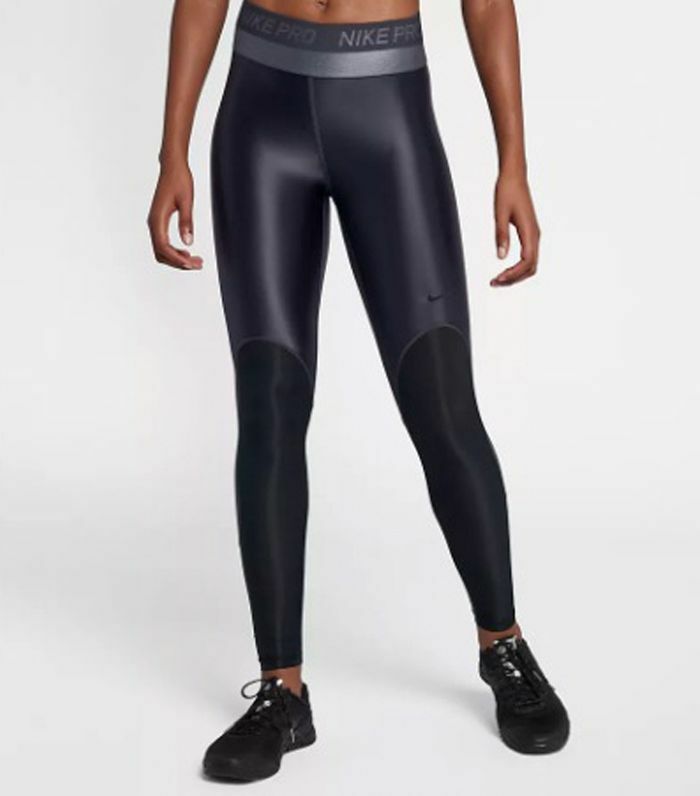 I have a plethora of tights that I wear when flying (and training), and these new leggings from Nike ensure I have both the comfort and style boxes ticked off. They allow me to stretch out and move around with minimal discomfort, which is important on a red-eye. Always wear socks. A lot of readers advised me to invest in cashmere, but I didn't have time to purchase before my flight so these Nikes did the trick. It's always a good idea to have two pairs of socks so you can get one dirty going through security when you take of your shoes and pop on a fresh pair for the plane. So many people recommended compression socks. 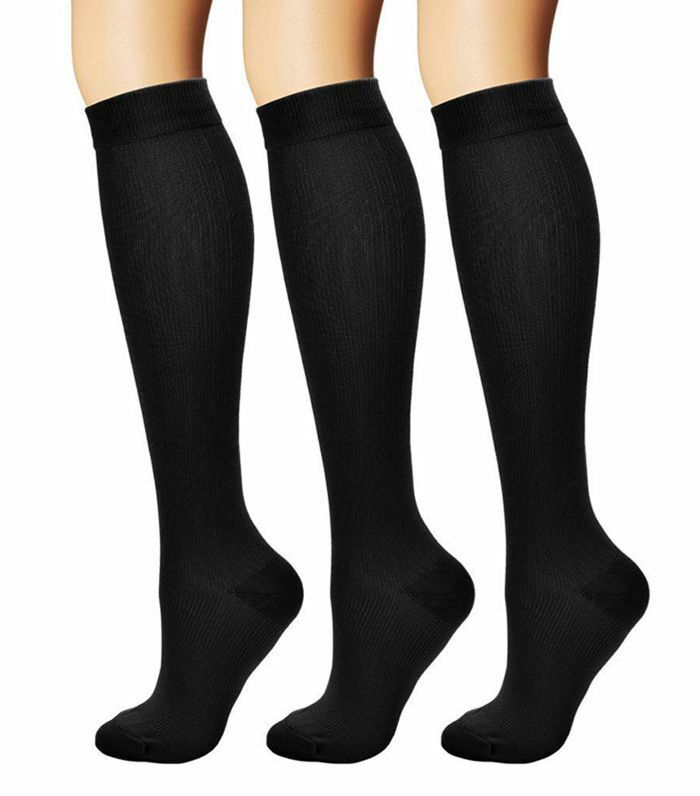 These really helped me because I often suffer from fluid retention on long flights, and I always get cold. I didn't put them on until I was on the plane because they are very long and it acted as my fresh pair since the first set is dirtied up going through security. 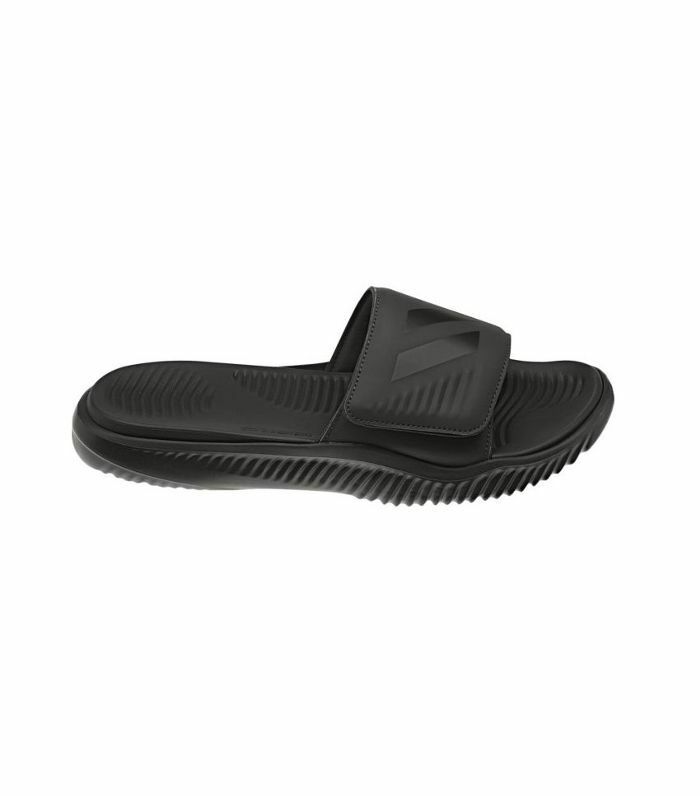 I love wearing slides when I fly because I can easily pop them on and off through security, or on the plane when I need to relax. This pair from Adidas is so comfortable I honestly live in them now. One of the best tips I received in the group was from Katrina Symonds who was all about this idea of turning yourself into a cocoon. As a frequent flyer, she's learned that the more you can shield yourself from the plane surroundings and noise, the better you can drift off into snooze-land, and she was right. The first step in cocooning yourself is to throw on a hoodie. You want one that has an oversize hood, which will fit headphones underneath and can be pulled down slightly over your face. Next up in the cocoon process are earplugs. 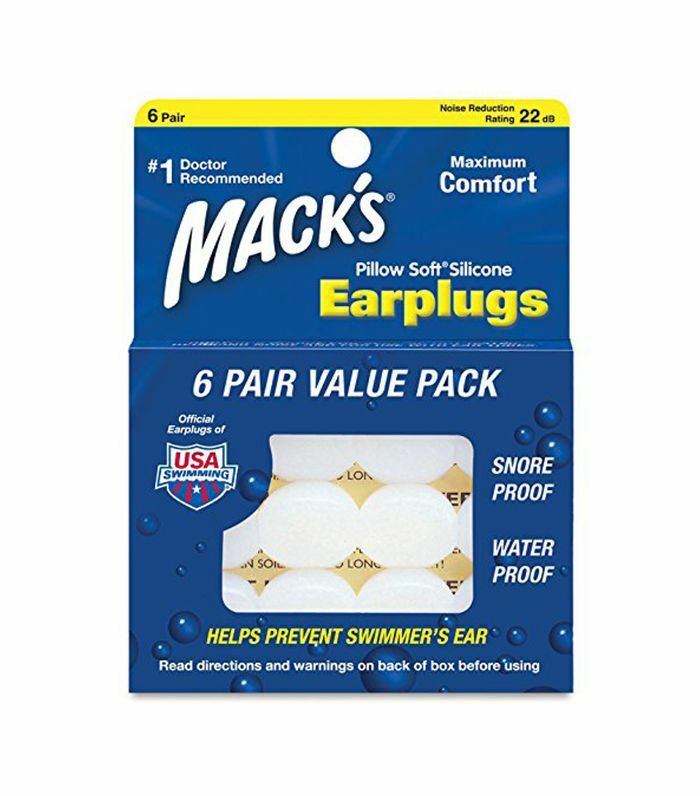 I was told by a group member that these Mack’s silicone earplugs are the best, and she was right. They really blocked out all the noise on the plane and helped me stay asleep once I was. Once your earplugs are in, put your headphones over the top. These will help to block out additional background noise and ensure that no talking or crying babies will wake you. 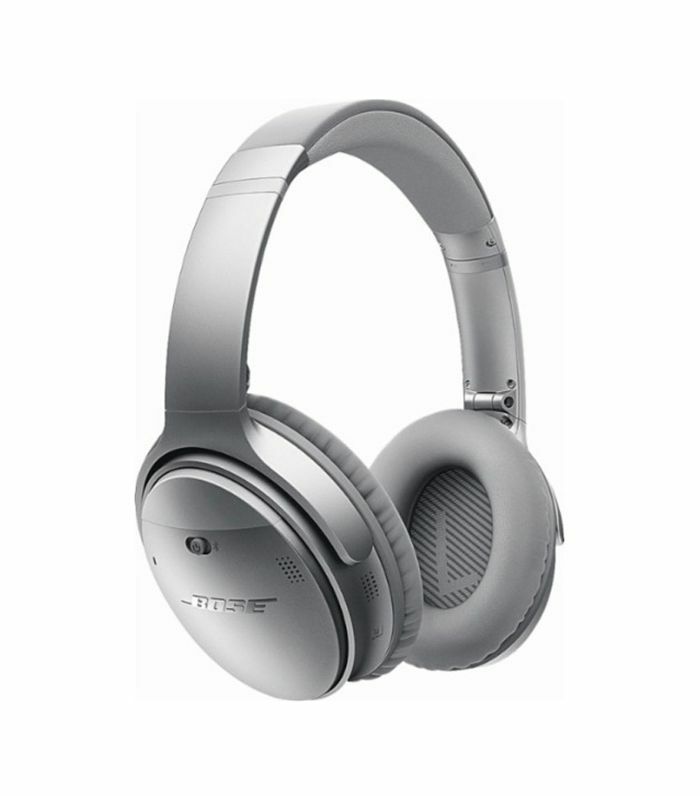 This noise-canceling pair also has Bluetooth so you aren't woken up by tangled wires. 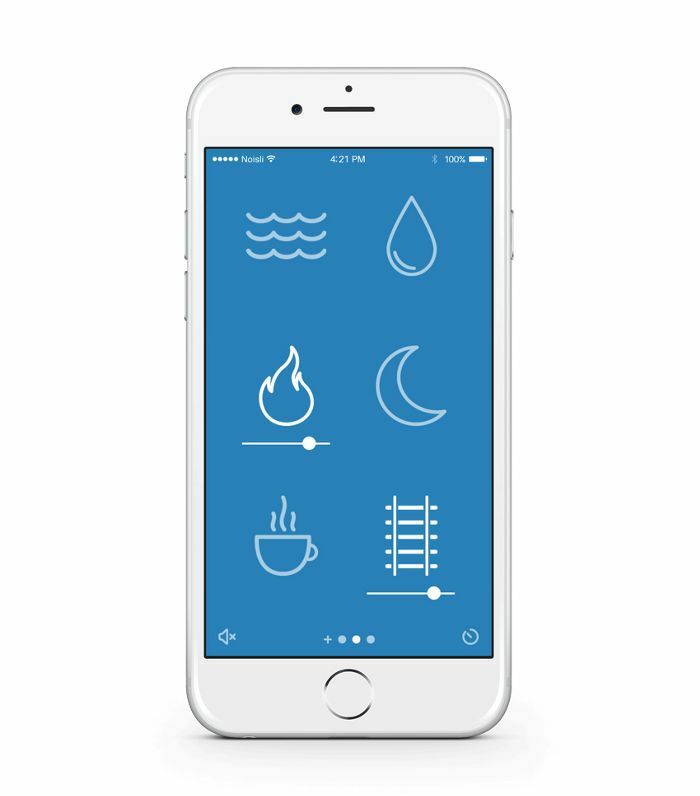 Several people recommended a classical playlist for sleep but one member suggested Noisli which is a white noise app. It drowns out any annoying noises so you can focus on the task at hand: sleep. Once your app is turned on, the next step is to place an eye mask over the top of your hoodie to keep it all together. This step is crucial because it helps to block out any light from the cabin or any nearby screens for some of those who decide not to sleep. For some reason, I cannot sleep without a cover over me. Even when it's 90 degrees outside, I have to have something over me, or I just can't fall asleep. It's my security. Since it's notoriously cold on a plane, I always travel with a blanket. This blanket is also part of the cocoon plan I mentioned earlier. Once you have your hoodie over your head, earplugs in, and your headphones on top, then you throw a blanket over the top of your entire body and wrap it around you. The blanket totally encases you and creates a complete barrier from the outside. It might look a little crazy, but let's remember, the plane is usually dark at this point, and most people have the same thing as you in mind—sleep—so don't worry about it. A good tip from one of the readers was to bring two blankets or wraps on board—one to drape over your legs and one to wrap around your upper body. "That way you can keep your seat belt visible, so the flight attendants won't wake you up to check on it," she writes. Since I opted out of prescriptions, I rubbed this natural sleep cream onto my shoulders instead. It has some melatonin in it and hemp oil to help you relax and induce slumber. 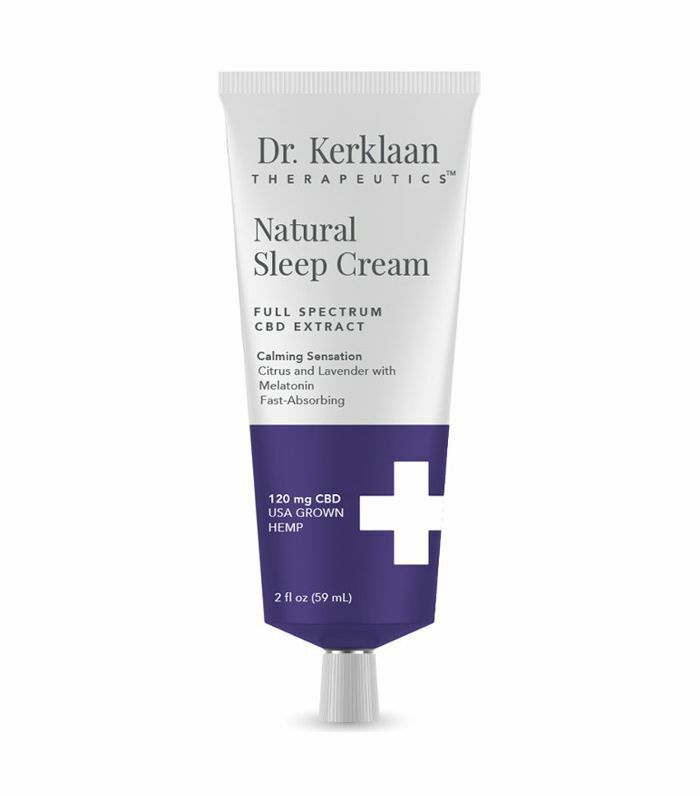 I am obsessed with this cream and have been using it at home too for those restless nights when I can't fall asleep. It's a great alternative to taking melatonin orally too. Before I fall asleep, I try to hydrate my body as much as possible since I know I'll be asleep for a few hours, and the plane can really dry you out. 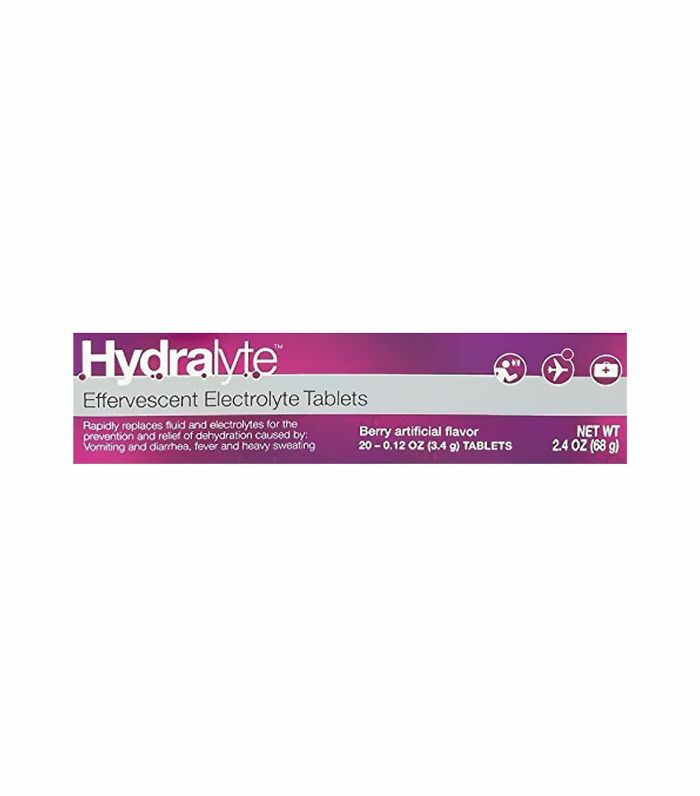 I have used Hydralyte on long-haul flights to Australia, and it's one of the best out there. There are plenty of other brands though, so choose an electrolyte that suits your palette. These are also great because they're tablets, so you can take them through security and add them to a bottle of water on the plane. 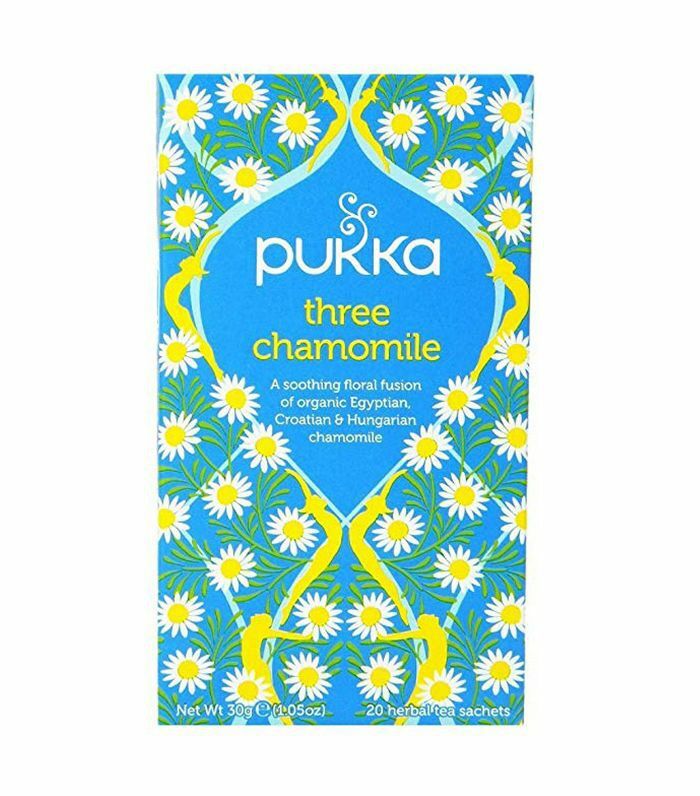 A few people in the comments recommended herbal tea, in particular chamomile and . I definitely drink chamomile daily at work so bringing some tea bags onto the flight was an easy box to tick. I also love having something warm before I sleep to help relax my muscles and soothe my mind. 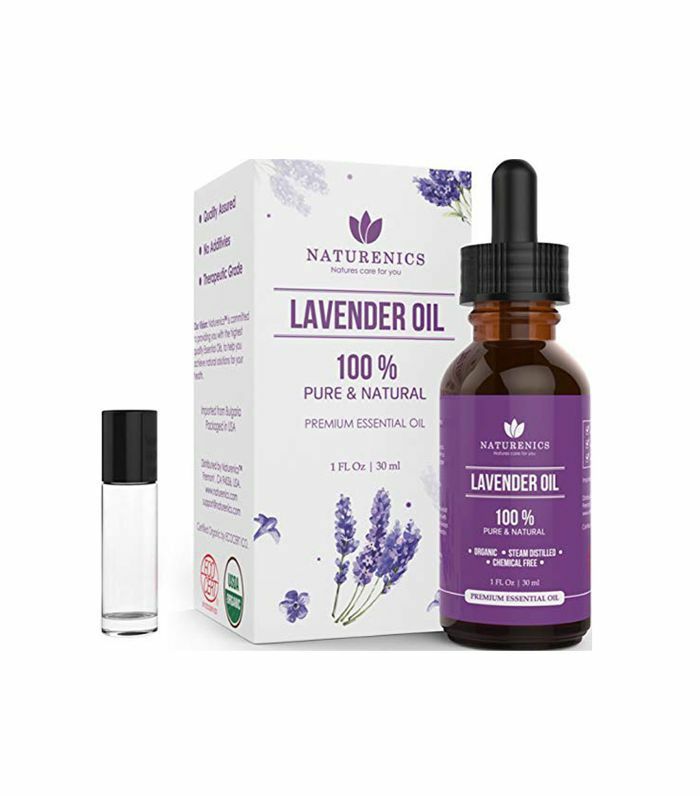 I carry lavender essential oil around with me and have a roller on my nightstand, so this was a no-brainer when someone suggested it. 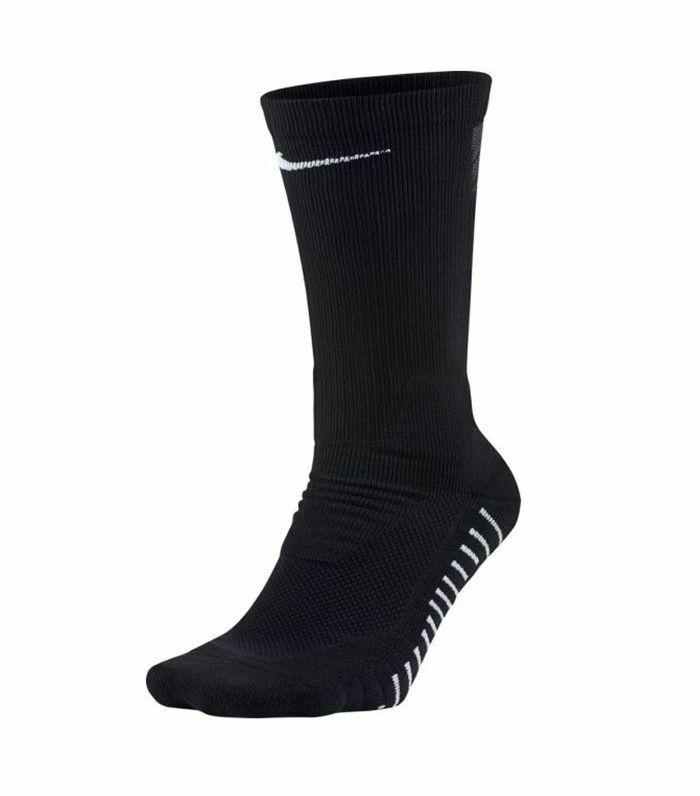 But one tip I didn't think of was to put a little on your feet before putting your socks on. That is such a nice touch. However, I would recommend doing this part in the restroom as I'm sure your seat partner won't want to be privy to that. Before I fall asleep, I have to clean my face so it's fresh and ready for snooze-town. 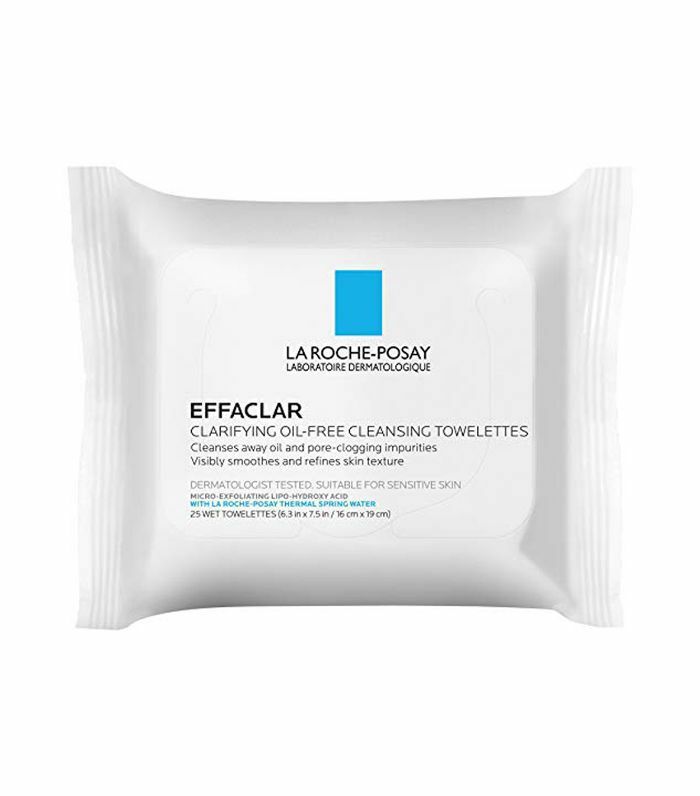 I love these face wipes for getting all the dirt and/or any makeup off. I also use them to wipe down my area. I always travel with a hydrating serum and apply it underneath a mask. 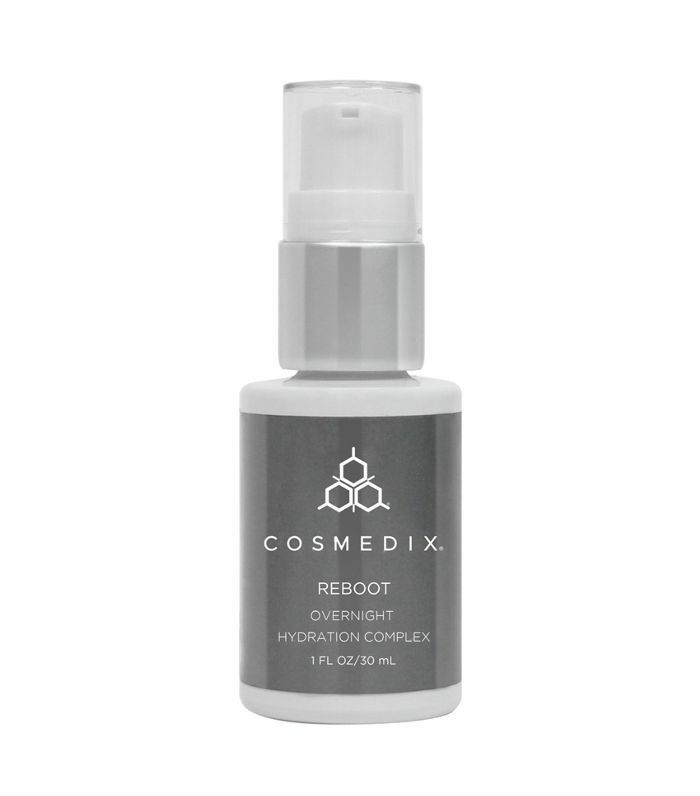 This is an overnight serum with probiotics to balance and hydrate the skin while you sleep. 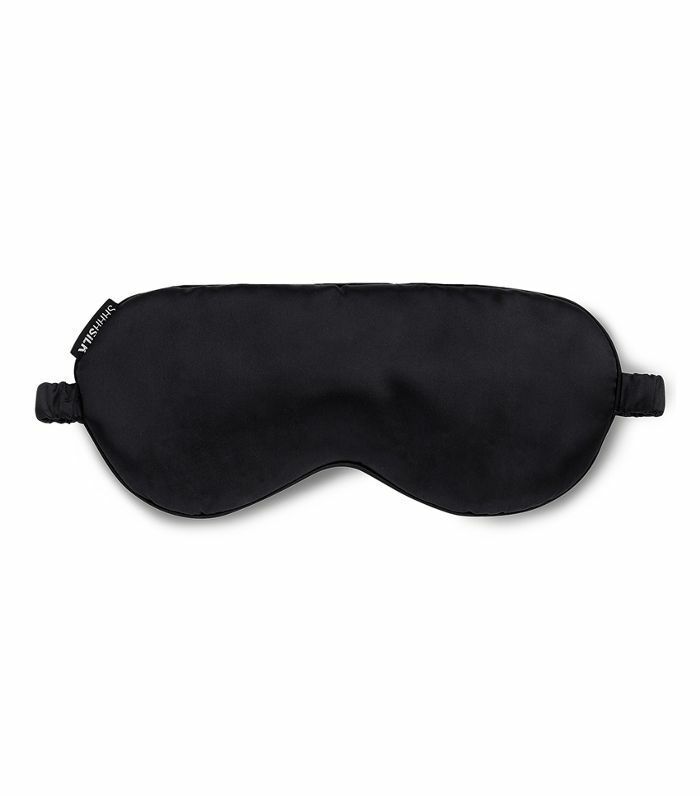 I use this every night, and it's perfect for a red-eye to protect the skin from dry, pressurized cabin air. 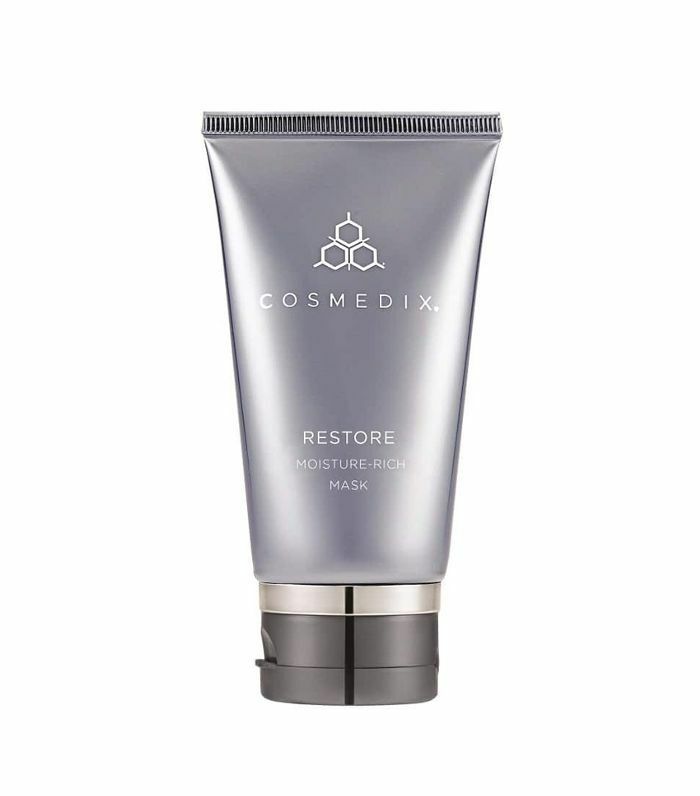 I rotate between several masks and serums but my favorite is this hydrating product from Cosmedix. I also love the . They're both masks you can sleep in and just continue to hydrate the longer they're left on. That definitely appeals to the lazy girl in me. It's like a mask and a moisturizer all in one. For further hydration, I highly recommend using a face oil. 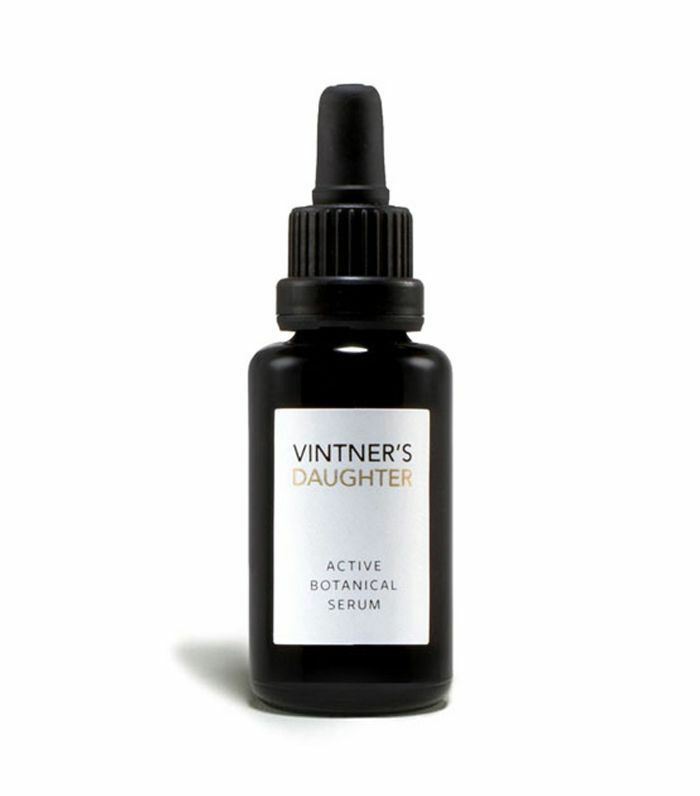 This is one of my favorites because it's an active serum that works hard with minimal effort to keep the skin supple and provide a barrier against harsh environments. I would say cabin air is definitely on those you want to protect your skin against. This oil also smells incredible and I find it really soothing and relaxing before bed. 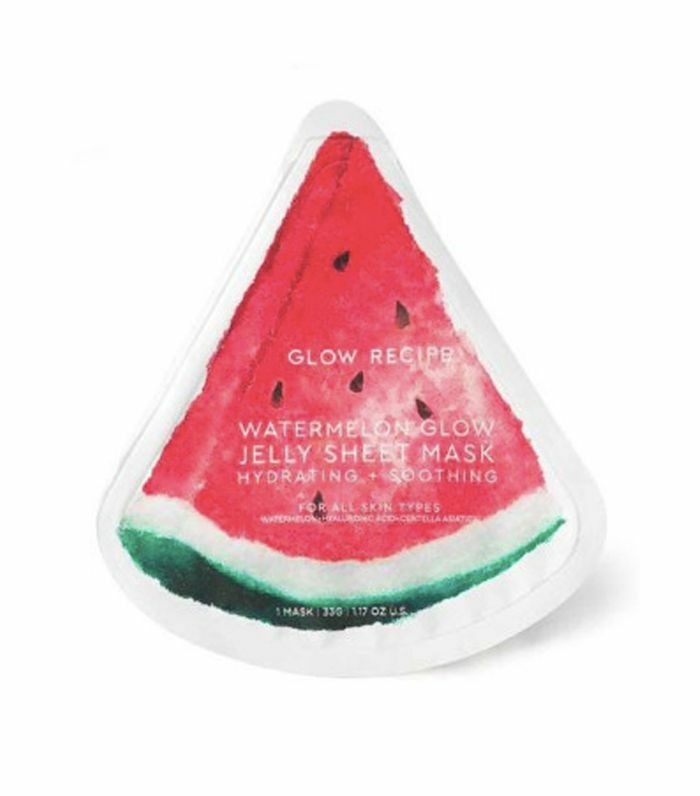 If you want to up the ante, and you don't mind scaring your passengers a little, then throw on this sheet mask before you nod off. Vanessa Muro writes: "I tested (Byrdie editorial director) suggestion to try a Glow Recipe Mask on a redeye to London. It’s a game changer. My skin literally looks so refreshed. Highly recommend." I don't really need much more proof than that. MyDomaine's senior editor and travel writer, , also loves this one. 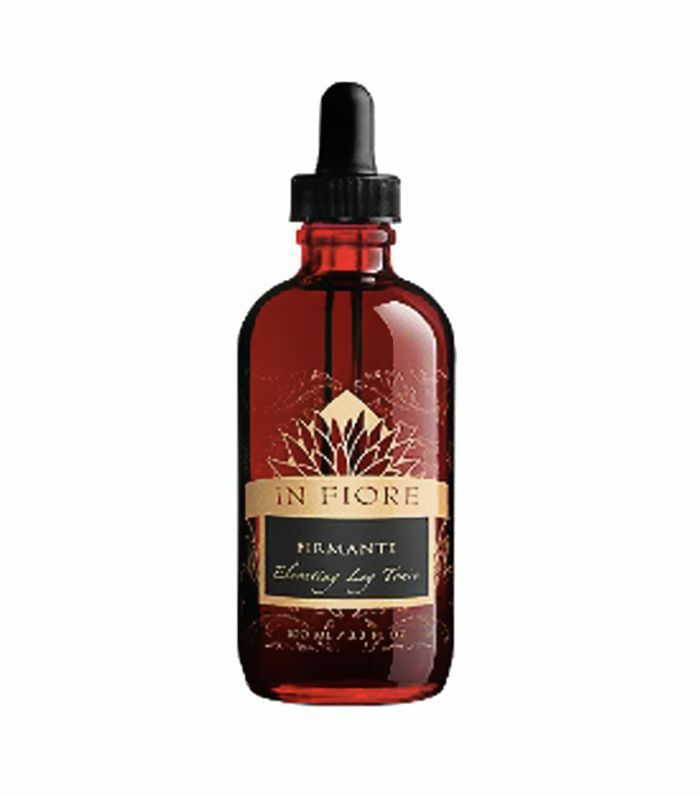 Since I suffer from fluid retention, I apply this oil onto my legs before heading onto the plane. The oil has been specifically designed to reduce swelling and assist in the shifting of excess water weight. I also really love the self-care act of rubbing oil into my legs and massaging them before a long flight. It smells delicious too. And last but certainly not least, be sure to apply some lip balm to your lips. A few people recommended this to me, and I'm so glad they did. Since you're sleeping and not drinking as much while you sleep, your lips can really dry out. 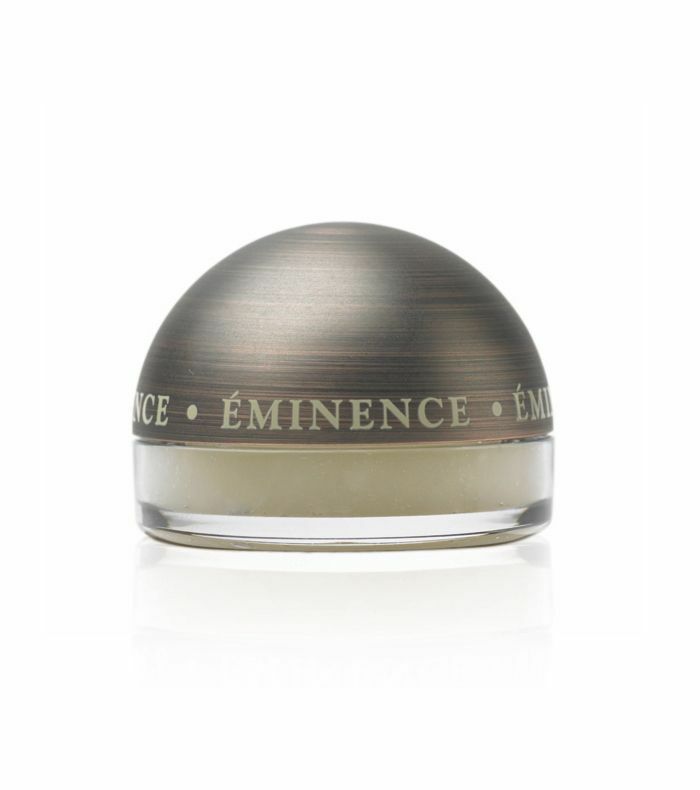 I used this one from Eminence because it's organic and natural, and I also love the smell. And lastly, while this doesn't necessarily aid the sleep part, I do love to take a blazer on board with me so I can walk off the plane looking fresh, polished, and ready for work even if I am still feeling a little rusty from the red-eye. I personally believe you have to look the part in order to feel the part too. Whatever helps, I'll take it. For more travel advice and tips, subscribe to our newsletter.